The world is shrinking. Barriers such as language, geographical distances and borders are getting smaller when it comes to challenging communication and interaction. To enable business interactions and the construction of relationships that occur, companies have to use the services of a translation service. If a company wants to grow and enter new markets, it is essential to be able to communicate with potential customers in a way that influences their purchase decision. When it comes to hiring a good translation agency, a precise analysis of what your company needs before carrying out the selection is essential. If the task consists of a small translation of the text, then it makes sense to get in touch with a person who can do this. However, if it is necessary to translate something that is at a much more extensive level, which must “scale” in time and quantity, then it is important to hire the appropriate translation services, which will be able to establish your brand in that market. When looking for translation services, there are a number of options to consider. Are you going to need automatic translation engines or will you need a human translator? This decision is based on the amount and type of material you need to translate. Nowadays machine translation is quite sophisticated, and you can translate your documents in a matter of seconds. Using this statistical technique, the words in the document are compared to other sequences and the most probable string of words in a sentence is selected instead of using grammar rules to translate. The previous method proved useful for decades, although the most recent statistical method provides better results and flexibility. However, it is possible that mistakes are made if you do not know how to edit well. Machine translation is much more profitable than hiring a human being. It is also scalable when it comes to translating large volumes and Big Data. It is important to determine which translation service provider is best suited for your business when it comes to costs, scalability and accuracy. Why should you hire experienced technical translation services? You need to focus on some things while trusting your technical translation work in the hands of any translation company. It is necessary to distinguish if the seller understands the complexities of the translation of his documents or not. They must flex according to their needs and deliver the finished work within the indicated period. They must understand the importance of using the correct terminology in the technical translation of the different documents of value. The professionals who are doing their job should not create disasters by choosing incorrect terminology or changing the concept completely. They should not forget including any subject or information while the work is being done. If they do, your documents will not serve the purpose you have expected. A lot of companies like you in the IT industry have experienced the benefits of hiring the services of technical translation services. They know that it is important to hire these services if they want to compete in the international market. So it is the ideal time to take the help of these services so that your business scale new heights in your target market. With so many translation companies available in the market, it is quite confusing to identify which of them is competent or trusted. You will find dozens of such companies in the market that promise to offer competent translation services. The answer is no. You cannot trust a translation company just by reading your business message. They will try to seduce you with the promise of a number of things. They do it the way they want to do more business, stay ahead in their industry, and generate big profits. Many times, it has been found that they promise a lot, but do not fulfil the promises made. Therefore, it is important that you should do a lot of research before hiring a translation company. A competent translation company will better understand your translation needs. By competent, we mean here a company that has a talented group of qualified and experienced translators to do the work for you. Professional translators understand your specific needs and offer solutions accordingly. 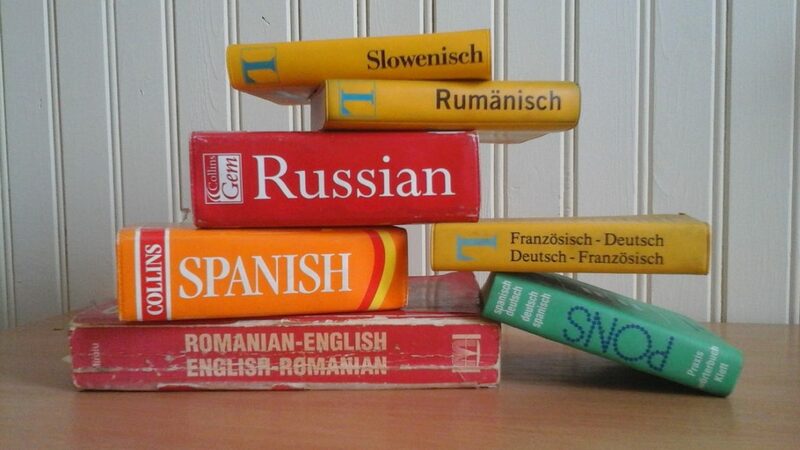 Several factors make a translation company competent. We will go into more details here. Correct translation services at all times – You will find many translation companies that complete a specific work after many editions. This will affect your workflow since you will not get the work done within the requested time frame and well at first. A translation company is given the rank of an expert company only when it offers excellent services well to the first. They will not give you any opportunity to identify any errors in your translation work. The use of advanced translation technology – A translation company will be called competent if they use advanced translation technology in their work process. Translators must be up to date with the latest developments in the translation industry and put them into practice in their work. Deep knowledge, skills, experience and training – You can get to know how competent a translation company is by looking at the quality of their translators. A fast, professional company will have a team of efficient translators. The team’s experience also helps in determining the company’s experience. A professional salesperson will always keep your equipment up to date by training and polishing your skills from time to time. This also helps a lot in building the confidence of team members. So, now you can understand why it is important to outsource your translation work to a competent translation company. After all, you want all your confidential documents and valuable information in good hands while they are translated. You will receive this security only when the chosen provider is reliable and competent. So, if you keep the previous points in mind, you will end up hiring a right translation provider.